Did You Know These Facts About The Gemsbok? 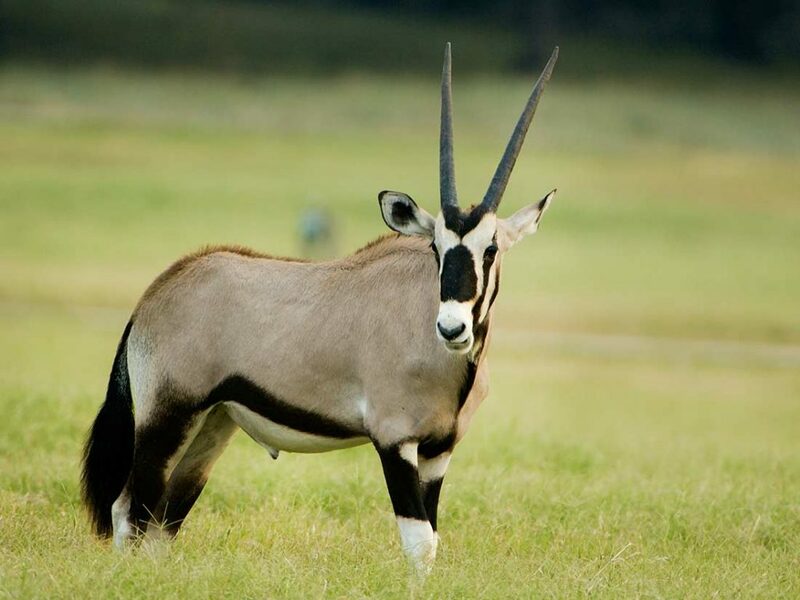 The Gemsbok (Oryx gazella) is the common name given to the largest and most well known of the 3 species of Oryx. Due to their horns being so lethal, Gemsbok have also been called the ‘Sabre Antelope’. Its name is actually derived from the German word for a male chamois, although they are not related. They are distributed around deserts, scrublands and brushlands in South Western Africa. Find out more!